Picture it: a warm sunny day at the beach; sandcastles, sunscreen and sunglasses, oh my. All that’s missing is a certain sweet treat to cool the senses. We are of course talking about ice cream: the premise for this online slot from developers Eyecon. 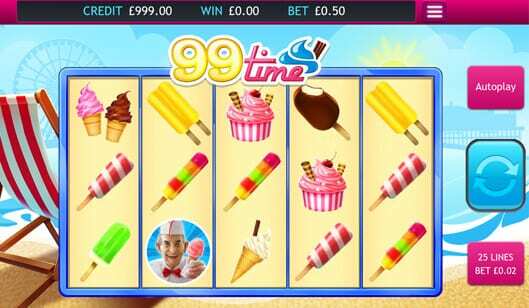 The ’99’ in this slots title is purposeful in taking your mind to a 99 with a flake that you might find down the beach during the summertime. This if anything, is an English tradition, and will hopefully be around for many generations to come. What’s your favourite flavour? Vanilla? Strawberry? Or perhaps you enjoy chocolate? Well, one thing is for sure, you will have many favourites after you play slots like 99 Time Jackpot, there’s no doubt about it. 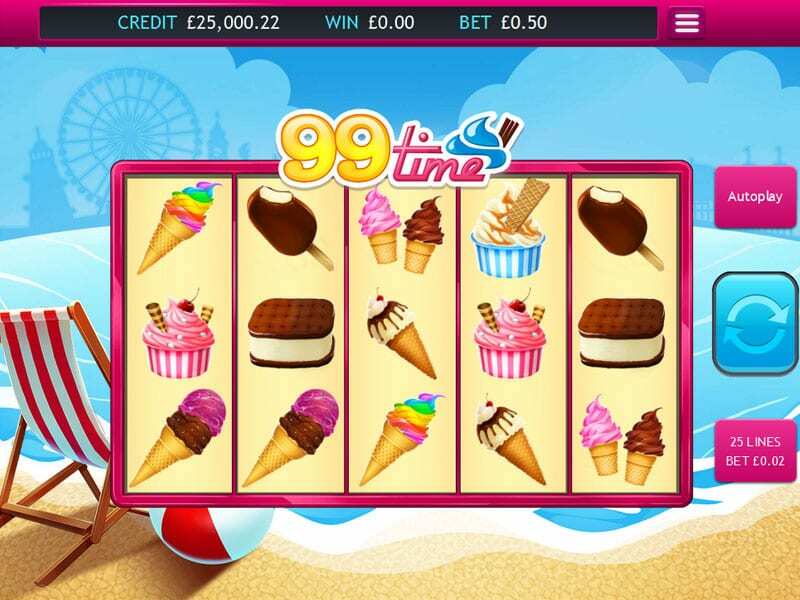 99 Time Jackpot is similar to its non-jackpot counterpart, this slot again takes place at the beach causing players to match various ice cream symbols on the reels. The only difference here is that there is a rolling jackpot at play here. Normally slots will have a fixed jackpot that will limit players winnings depending on the score. Here the jackpot will roll over continuously until it is won by the player: a great incentive for repeated spins indeed. If you were to mention the name Eyecon what comes to mind immediately is iconic. The past titles by Eyecon have all proven to have different levels of success across the entire globe. A staple in the online gaming scene, responsible for so many thoroughbred titles. This is one of many brilliant games you can play when you follow the link for online slot games from Eyecon gaming. 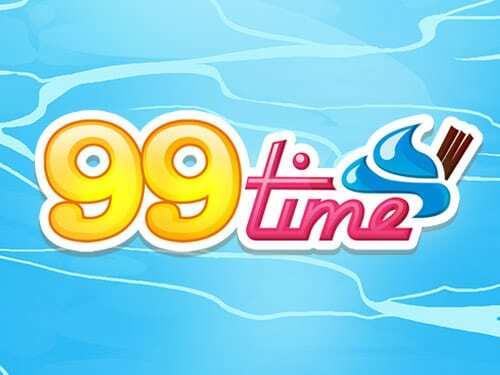 99 Time Jackpot is set up like many of your favourite online slot titles, featuring multiple different symbols to be matched across a set amount of reels. Arrow buttons at the bottom of the screen are used to adjust pay-lines and bets accordingly. It goes without saying but hit the right arrow to increase the amount and the left arrow to decrease it. Bets can be placed from as little as 25p per spin to around 12.50, making this a slot that can be played in various different ways from a variety of different entry levels. Players who are looking at maybe going out for an ice-cream while this slot plays, should use the auto-play feature to spin as many reels as they like while giving control to an AI. This feature can be stopped and started at any moment making it perfect for those who wish to continue a potential hot streak. You can also check if this game has made it as one of the top slots in this list. Players who have any knowledge of online slot gaming should expect to see many of their favourite features/bonus rounds to appear here also, including free spins, scatters and wilds among others. The vendor symbol himself serves as this slots scatter symbol, having 3 of these symbols on the reels at any given time will unlock a mini-game that will unlock even more ways of success.